With the new Pinterest changes, getting followers to share your content on Pinterest is more important than ever. In this blog post, I’m sharing 3 tips to encourage your email list to promote your Pinterest account. 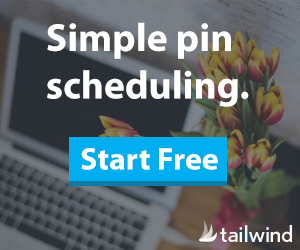 There are many ways to promote your Pinterest account and content, but I think using your email list is a really powerful way to get more eyes on your content. Why? Your email list is a group of dedicated followers who already WANT and LOVE your content. If you are one of my fellow list subscribers and reading this, thank you! Your email subscribers are more likely to engage, share and consume your content, so why not take the next step and ask them to share. This one is easy! Using your email list, have links to your profile account built into the template. Tell your list where they can find you on Pinterest and make it easy to click through. I write my list weekly and in that email, I always link to my most recent blog post. I should take my own advice one step further and link to the pin of the content. So for example, if you produced a great recipe that week, when sharing the content, ask your email list to ‘pin it’ on Pinterest and link to pin that originates in your personal Pinterest boards. Ask them to save it to their favorite boards! This last tip is so easy! In your email, ask your list to share or forward the email if they love it! A quick forward to a friend is an easy task and might result in some new followers or fans!